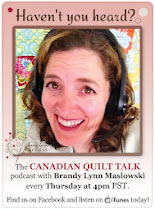 If you are on Facebook, please check out Canadian Quilt Talk. It's brand new and has had it's first pod cast (and that is ALL I know about it at this point). HAPPY CANADA DAY EVERYONE!! Where it's been a hot one here. What's hotter? ALL THESE PRIZES! : ) Congratulations to the following winners (picked randomly by my lovely assistant Kari). 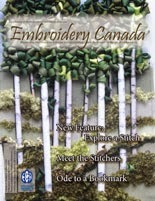 Prize #1 winner is Colleen (from Calgary) YAY! 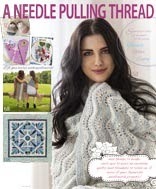 You get $50 work of Sew Sister fabric! Awesome. Prize #2 winner is Izzy. You get the Liberated Churn Dash PDF pattern. Prize #3 winner is wipgirl. Congrats - you win the one year digital subscription to ANPT magazine. 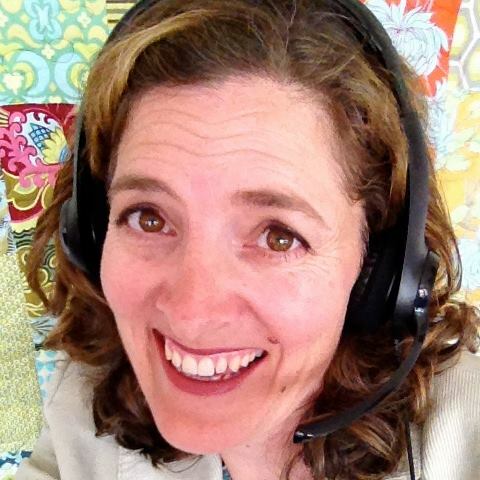 Prize #4 winner is Michelle G. You get $20 from Hamels for online shopping! Sweet. Prize #5 winner is Linda Crosby for the one year hard copy subscription from ANPT magazine. ENJOY. 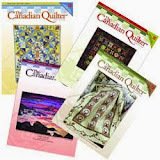 Prize #6 winner is Valerie Raye for a one year digital subscription to Quilters Connection Magazine - the all Canadian mag for quilters. Prize # 7 winner is judi. 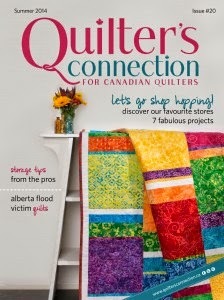 You also get a one year digital subscription to Quilters Connection Magazine! Right on! Enjoy your prizes. I'll be contacting you to ensure I have the correct contact info for me to pass on to the sponsers. They will egt in touch with you to verify your mailing addresses. All good?